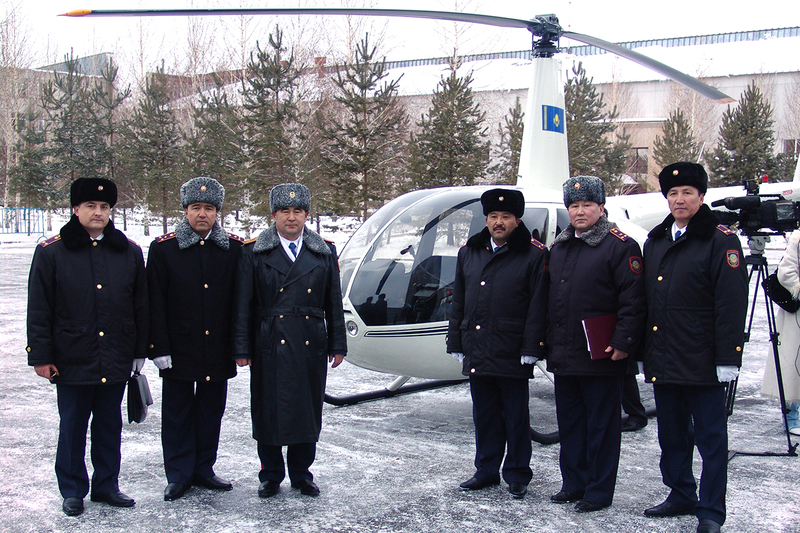 Torrance, CA — Marking the first time the Republic of Kazakhstan acquired a foreignmanufactured helicopter for law enforcement use, the Internal Affairs Ministry deployed on December 14, 2006 a new Robinson R44 Raven II helicopter to support its police force in the capital city of Astana. 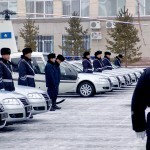 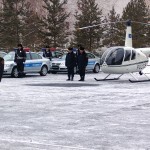 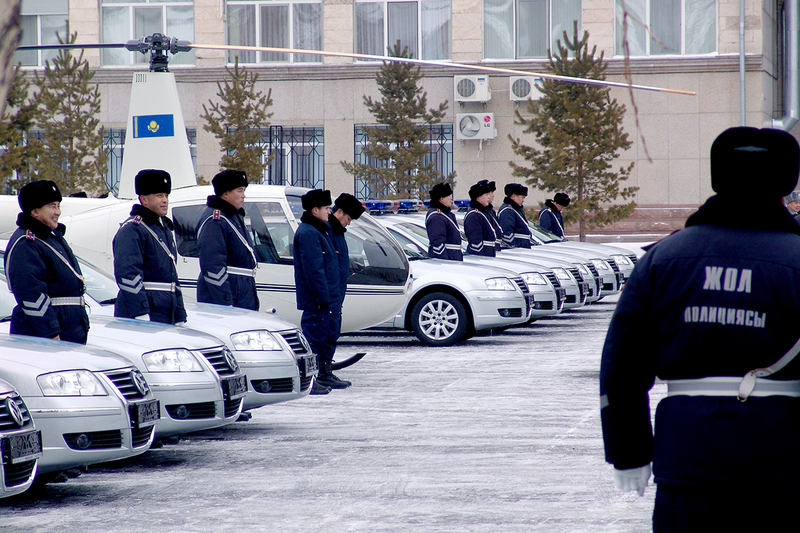 In a ceremony, Astana Mayor Askar Mamin presented Major General Dozumov, head of the Internal Affairs Department of Astana, with the keys to the blue-trimmed white helicopter. 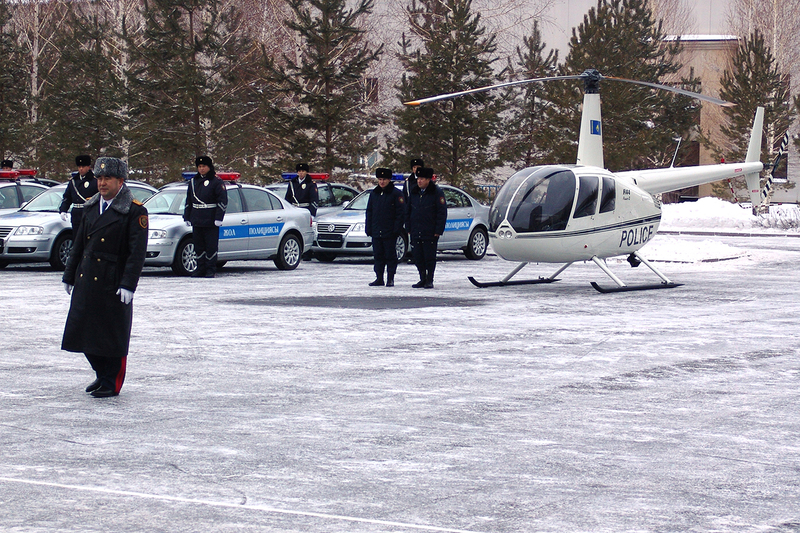 Previously, the R44 Raven II’s full capabilities were demonstrated for the country’s parliament. 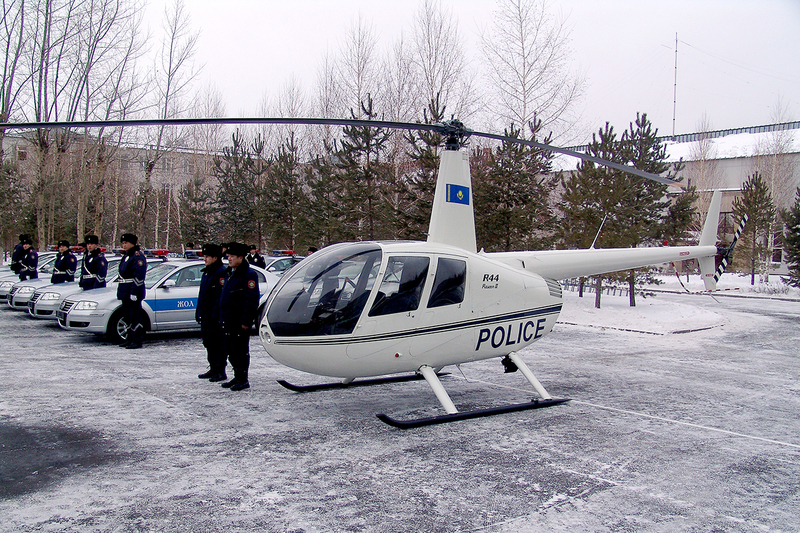 The R44 Raven II was a standard-equipped Raven II helicopter; however, in addition to the standard com radio and transponder, a dual audio controller and police radios were installed along with a public address system and siren. 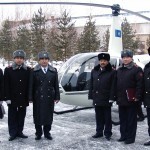 Robinson Helicopter Company is the world’s leading manufacturer of civil helicopters. 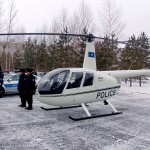 For additional information about Robinson, visit the website at www.robinsonheli.com.